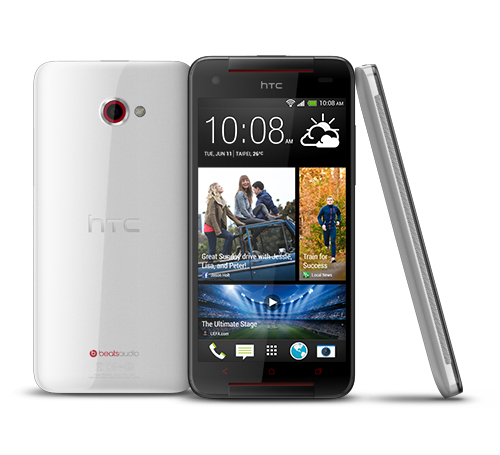 HTC unveiled the new HTC Butterfly S, which is now the most powerful phone in the HTC lineup. The HTC Butterfly S sports a quad-core 1.9GHz Snapdragon 600 processor, 5-inch 1080p (440 ppi) Super LCD3 display, 2GB of RAM and 16GB of built-in storage, microSD expansion slot up to 64GB, front-facing stereo speakers with BoomSound audio, BSI UltraPixel camera sensor, 2.0 µm pixels size, f2.0 aperture and 28 mm lens for the main camera, 2.1MP shooter on the front with a wide angle lens. To top things off, HTC has bestowed the HTC Butterfly S with a 3,200 mAh battery, enabling 3.5 days of continuous mp3 playback, 25 hours of talk time and an astonishing 659 hours of standby time on a WCDMA connection. On the software side, the HTC Butterfly S is running on Android 4.2.2 with HTC Sense 5. This means Butterfly S owners will be treated to features like BlinkFeed, HTC Zoe and the advanced imagine capabilities found in the gallery application. The HTC Butterfly S is scheduled to make its retail debut in Taiwan in July with a sticker price of NT $22,900 ($766 USD), and might hit the Asian markets in Q3 later.